Favorite Family Eats - Nekaro & Co.
One of our favorite meals is one I've posted before. 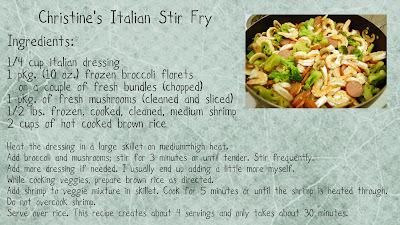 It's what I like to call my Italian Stir-Fry. I have found that using a bit of soy sauce in place of the Italian dressing is also just as good and offers a bit of a different flavor. From the old post: I usually don't measure out the portions. I also usually grab a bag of Great Value deluxe frozen veggies. The one with broccoli, snow peas, little corn cobs... that one. I've been adding some turkey smoked sausage. 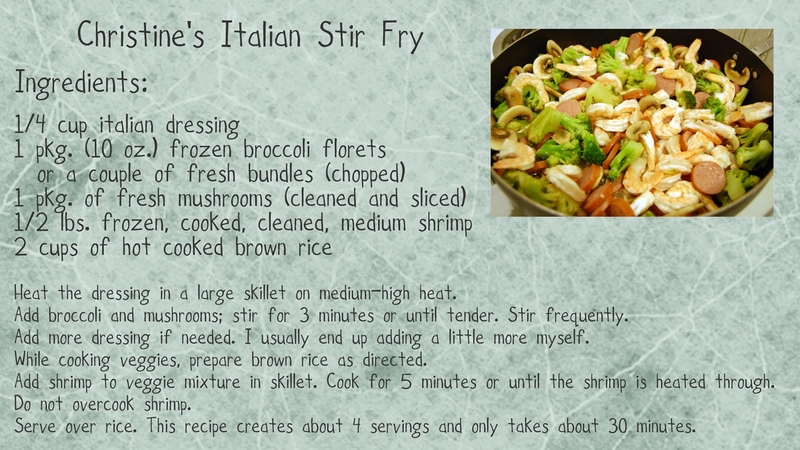 This recipe is so good because you can add to it or take away from it whatever you want to make it yours! Our second favorite (and equally as easy to make) is Alicia's Easy Philly Cheesesteaks. Just grab these ingredients: (At Wal-Mart) Great Value Philly Steak meat, green bell pepper, onion, cheese (of your choice), and some sub sandwich rolls. Slice the onion and bell pepper then set them to the side. Take the philly meat and put it, frozen, into the skillet. You really only need to cook it a couple of minutes on each side. Add the onion and pepper to the meat mixture and let it cook for a few minutes. You'll only want to cook them slightly because you still want to have a bit of crispiness to them. Place the rolls on a baking sheet. Add the meat/veggie mixture and place your cheese of choice to the top. Place them in the oven for a few minutes to melt the cheese and VOILA! All done!